Many creative people learn to accommodate seemingly random events into their process. Film maker David Lynch, for example, invented a terrifying character when he glimpsed Frank Silva, a set dresser on the pilot of Twin Peaks, accidentally reflected in a mirror during the filming of a scene. 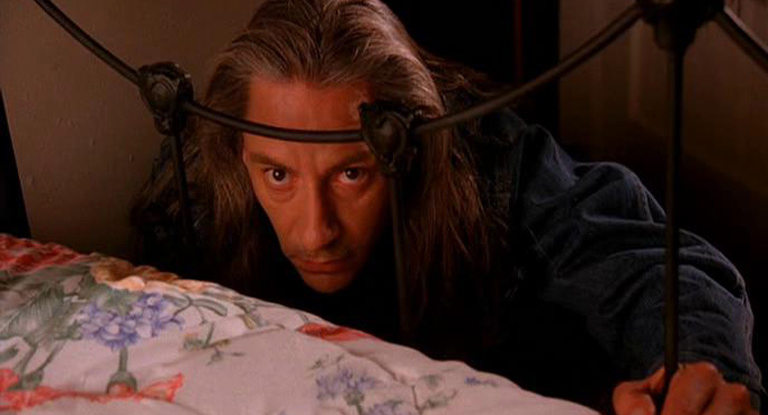 Frank Silva was then cast as Bob, a demonic killer who was pivotal in the unfolding drama. The I Ching, known as the Chinese Book of Changes in the west, is a book of divination, a way of seeing into the future. Used for more than 2600 years as a fortune telling device, it is also a repository of Taoist and Confucian philosophical thought. I first started delving into the I Ching* in my teens. I found it a source of sagacious advice and interest. For a westerner its sheer otherness drew me in. But one of the first things it taught me was that randomness is part of the world. The random act of throwing coins to obtain your reading deliberately accommodates chance into the process, for the world is full of it. The composer John Cage was given a translation of the I Ching in 1951, and found it a springboard to composing a new kind of music such as Imaginary Landscapes No. 4 using radio receivers, and Music of Changes. The I Ching enabled Cage to strip away the influence of the human voice on the sounds he heard, and connect his music with natural, unmediated sounds. For me, it has left me with a legacy of noticing mistakes, wondering what they have to tell me and incorporating accidents into the work I produce. Some mistakes of course, are simply annoying, but frequently others make an idea more fertile. Introducing chance into the process is irrational, and precisely because it is not predictable it becomes memorable. Advertising of course is full of randomness, and the appearance of randomness. Why use meerkats for a price comparison site? It seems irrational, but as we all know random things seem funny. 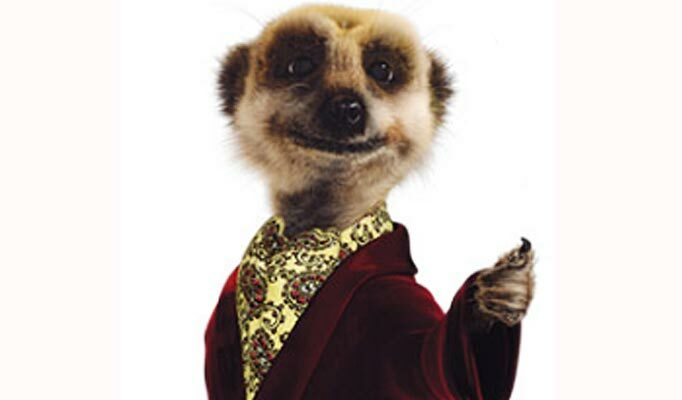 Of course the whole shtick of the advert is that market and meerkat sound similar if pronounced with a strangulated eastern European accent. So its origin may have arisen with simple word association. Success, of course, has many fathers and there are claims that suggest employing meerkats was encouraged due to the 5p cost per click of the word meerkats against a £5 cost per click for markets. All I’m saying is: notice your accidents. * In the famous translation by Richard Wilhelm, (further translated into English by Cary F Baynes with an introduction by C G Jung). ** I stole this quote from wiki, which attributes it to: John Cage, in an interview with Miroslav Sebestik, 1991. From: Listen, documentary by Miroslav Sebestik. ARTE France Développement, 2003. This entry was posted in Chance, Comedy, Marketing and tagged Comparethemarket.com, David Lynch, Frank Silva, I Ching, John Cage, meerkats, Richard Wilhelm, Twin Peaks. Bookmark the permalink.